Wondering what to do with your leftover quilt blocks? 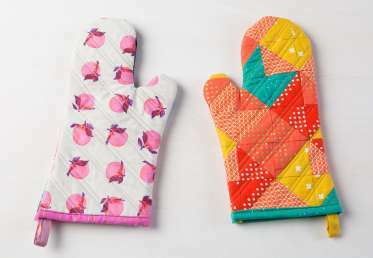 Make an adorably unique oven mitt! 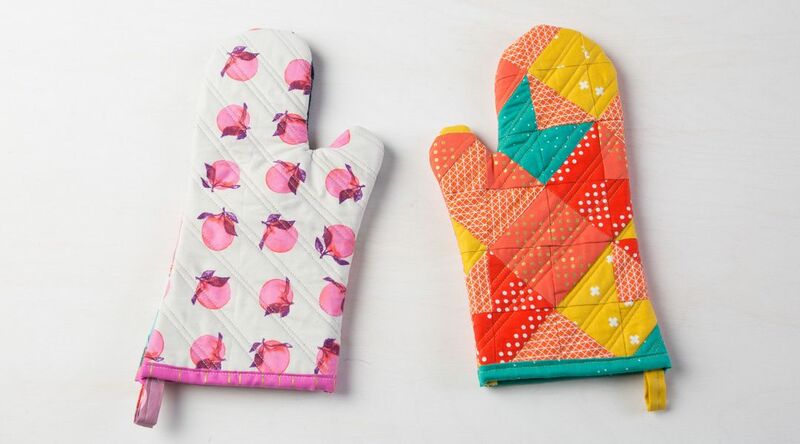 Using Anna Maria Horner's Whippersnapper block, Ashley Nickels shows how to take any quilt block and turn it into a one-of-a-kind patchwork oven mitt. 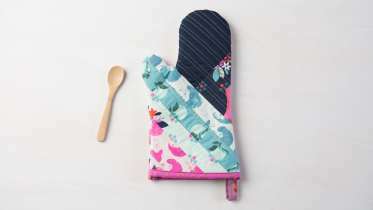 You’ll begin by creating two mini quilts, then cut out pattern pieces using the provided template. Add bias tape to finish the edges and create a hanging loop, then sew together for a cute and functional kitchen accessory.